A successful Pod is nothing without enthusiastic members! Here are some tips to help you market your Pod and attract participants. To keep meetings interesting, consider inviting a variety of guest speakers to offer their stories, advice, and motivation. Speakers can be both entertaining and educational. With the whole food, plant-based (WFPB) lifestyle as your foundation, consider taking on one of these projects or activities to create a positive, lasting impact on your community. A focus on making a difference in the community can unite members around the endeavor and attract new people to the movement. In order to keep the interest of current members and continue to grow the Pod, it is crucial to keep members engaged. Below are some ideas on how to maintain interest and attendance of Pod meetings. How well a meeting goes may determine whether or not someone returns for the next one. It takes practice to organize and hold inclusive, welcoming, and fun meetings, so here are tips we’ve gathered from other Group leaders about how to do so. Many Pods have found that screening the PlantPure Nation film by Nelson Campbell creates a sense of community and purpose, and helps to provide context to Pod members for both the origins of the Pod program as well as how their Pod is a part of a larger grassroots movement. A list of books on the whole food, plant-based (WFPB) lifestyle. This list was developed with the help of Healthy World – Sedona, a member organization in the PPC Pod Networks. A list of websites with informative newsletters related to whole food, plant-based nutrition and lifestyle. Minimal Cooking Ideas – Several tasty 5-10 minute WFPB meals for busy days. Suggested movies for group meetings. This badge is intended for Group Leaders to use on your websites and flyers to show your Pod’s connection to the PPC Pod Network. (A preview of the badge is available here.) 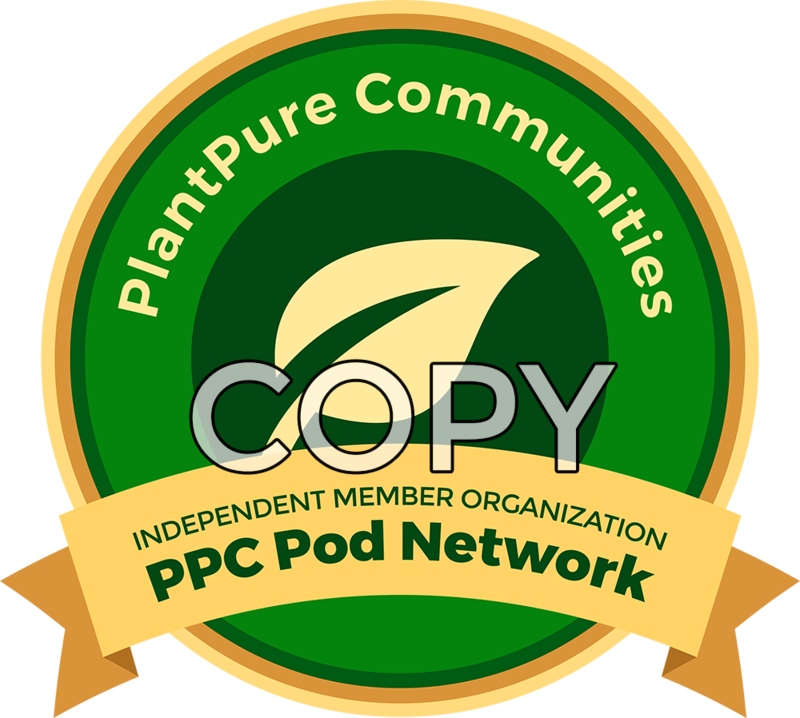 If you’d like to use the Badge, please complete the Pod Leader License Agreement to Use Pod Network Badge form and then email podsupport@plantpurecommunities.org to let us know you’ve submitted the form. By using the badge, you certify that your Pod is a member organization of the PlantPure Communities Pod Network; and that your Pod has read and adopted the PlantPure Communities Culinary Philosophy. This badge is restricted to Pod-related use only. It’s possible to add details about your Pod and event to these templates. Skill Sheet: Creating Digital Designs on Canva – Canva is a free graphic design software service that allows you to create digital designs for both web and print use. If you are interested in designing flyers, info cards, social media images, brochure, and more, Canva is a valuable and useful tool. This guide will show you how to set up an account and get started with a basic design. We request that you review this Skill Sheet before accessing the templates via Canva which we have designed for your use. When you visit the following links, you will be taken to Canva’s website. — BEFORE YOU BEGIN! — Make a copy and save as a new item, otherwise your changes will be made to the “original” template. Once prepared, you can view a list of frequently asked questions. Please let us know your questions so we can include them here! 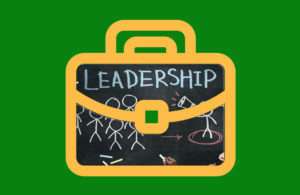 Please visit the Group Leader Essentials webpage for information about the current Pod Support Programs. Note: The links below are external links and will take you away from the PlantPure Communities website. Nonviolent Communication: A Language of Life by Marshall B. Rosenberg – http://tinyurl.com/lf6of2c – Improve the quality of your relationships within your Pod and learn to communicate effectively by building trust, preventing conflicts, and healing emotional pain. Daring Greatly: How the Courage to be Vulnerable Transforms the Way We Live, Love, Parent and Lead by Brene Brown – http://brenebrown.com/books/ – This book will guide you towards creating authentic, approachable, dynamic leadership based on human connection. Who Moved My Cheese? An Amazing Way to Deal with Change in Your Work and in Your Life by Spencer Johnson – http://spencerjohnson.com/books/ – Eliminate fear and anxiety so you can have a positive impact on your community as you work towards positive change. The 7 Habits of Highly Effective People: Powerful Lessons in Personal Change by Stephen R. Covey – http://tinyurl.com/ylrbea4 – Learn how to incorporate fairness, integrity, honesty and more into your Pod for maximum success and engagement. How to Win Friends and Influence People in the Digital Age by Dale Carnegie – https://tinyurl.com/lrmzlb7 – This classic is essential for learning how to deeply connect with others and encourage productive, meaningful communication. Big Magic: Creative Living Beyond Fear by Elizabeth Gilbert – https://www.elizabethgilbert.com/ – If you’re not sure how to harness your unique talents for your Pod, this imaginative book can inspire you to actively pursue the ideas you’re passionate about. Collaborative Intelligence: Thinking with People Who Think Differently by Dawna Markova, Ph.D., and Angie McArthur – http://cqthebook.com – A great guide for transforming the way you understand yourself and others, offering tools for effective communication. Explore how you can apply your own and others’ “thinking talents” when embarking on a team project or working through challenges.